Maintain your grill with Redi-Gril products from Redi-Gril, LLC. Cut clean up time and effort using the mini grill scraper. 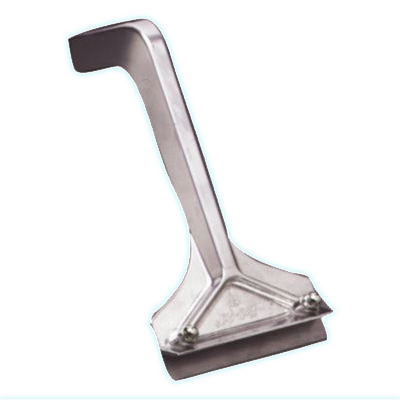 The Mini scraper removes food and grease buildup that can ruin grill surfaces. Designed for use on flat top grills, the Mini grill scraper is tough enough to remove burnt residue left over from virtually all types of food products. The Mini Scraper has a 4.50 inch (11.00 cm) blade. It features a splash guard to protect the operator. The smaller design works well in tight areas. Consider using in food carts, cruise ships, hotels, and catering. Designed for smaller, tighter areas.